Waikato University has abruptly pulled a student’s thesis from its library after complaints from the subject of the research – a right-wing extremist. 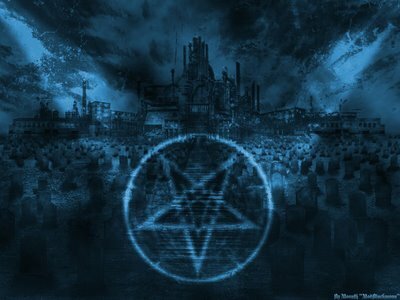 The thesis, exploring satanic and neo-Nazi themes, had already been marked and published, earning its author top marks. It is a highly unusual move to remove a student’s work after publication. The thesis, published six months ago and titled Dreamers of the Dark: Kerry Bolton and the Order of the Left Hand Path, a Case-study of a Satanic/Neo Nazi Synthesis, was submitted as part of a Masters degree by philosophy and religious studies student Roel Van Leeuwen. Mr Bolton is a well-known figure both in New Zealand and Australia in the far-right movement, and is a former National Front secretary. The university’s student newspaper, Nexus, reported today the thesis was available to read at the university’s library and on-line publishing repository, as recently as two weeks ago. Nexus reported neither Mr Van Leeuwen nor the thesis co-supervisor, Professor Dov Bing, were notified prior to its sudden removal. The newspaper said it established that no legal threat had been received against either Mr Van Leeuwen or the University of Waikato. Rather, the thesis was the subject of a mere complaint from Kerry Bolton. Professor Bing told Nexus the thesis was a first-class piece of work, and was externally moderated by other universities before being published. The thesis was assessed by two senior academics from other New Zealand universities, Professor Bing said. They both deemed it to be a first-class piece of research. Mr Van Leeuwen told Nexus he was surprised that he had not been told that the thesis was being pulled. Mr Bolton’s website shows numerous letters he has sent to the University’s Vice Chancellor, Roy Crawford, complaining about the thesis. Mr Bolton said the thesis “amounts to a poorly contrived smear-document against a private individual, namely myself”. He said the thesis was “ineptly researched” and reading it made him feel literally and physically sick. He pointed to what he said were numerous flaws in the thesis. Mr Van Leeuwen said he stood by his work. The thesis had received full-class honours and it was accurate. Mr Bolton has featured on the self-described Holocaust revisionist Adelaide Institute’s website, whose founder and director Fredrick Toben was arrested on October 1 at Heathrow Airport for holocaust denial. Sorry about this but all the other nazis blocked me; typical. Hugo Chavez, the Socialist president of Venezuela for 14 years, died on March 05, 2013, after having courageously fought against cancer in the last few months. Media reports superficially stated “heart attack” as the cause. But a troubling question is, Who killed him? This question is not rhetorical, since its answer points to the trend of hi-tech assassinations in contemporary global politics. In the last few years alone, quite a number of prominent individuals who opposed the policies of some powerful states on the world stage had been targeted for hi-tech assassination, which often leaves no trace behind and can kill the victim silently (often in a slow and painful death), and this kind of silent killing becomes an increasingly preferred form of very sophisticated assassination by some powerful states in our time — unlike the crude use of shooting by an assassin in the older days. Of course, there can be other examples, so the ones above are illustrative, not exhaustive. At first glance, all these cases seem isolated incidents, but, upon closer examination, reveal a growing and disturbing trend of hi-tech assassinations in contemporary global politics, in that all these individuals with the diseases were major opponents of the policies of some powerful states. For example, the first 8 cases above (cases #1-8) involve some recent leftist opponents of American intervention in South America. This led Mr. Chavez to thus wonder, back in 2011, “Would it be so strange that they [in the U.S.] have invented the technology to spread cancer and we won’t know about it for 50 years?” and then added: “I don’t know but…it is very odd than we have seen Lugo affected by cancer, Dilma when she was [presidential] candidate, me, going into an election year, not long ago Lula and now Cristina….It is very hard to explain, even with the law of probabilities, what has been happening to some [leftist] leaders in Latin America. It’s at the very least strange, very strange,” as reported by Tom Phillips on December 29, 2011. On the day of Chavez’s death, Vice President of Venezuela, Nicolas Maduro, said in an address to the nation that “there’s no doubt that Commandante Chavez’s health came under attack by the enemy,” in that “Chavez’s cancer was an ‘attack’ by his enemies” (meaning the U.S.), as reported by Tracy Connor for NBC News on March 06, 2013. Then, General Jose Ornella, head of Venezuela’s presidential guard, “echoed the concern of Vice President Nicolas Maduro that some sort of foul play was involved in Chavez’s cancer. ‘I think it will be 50 years before they declassify a document (that) I think (will show) the hand of the enemy is involved,’ he said. The general didn’t identify who he was talking about [or what the classified document was exactly], but Maduro suggested possible U.S. involvement…,” as reported by Fabiola Sanchez for the Associated Press on March 06, 2013. Shortly after the death of Chavez, Kurt Nimmo wrote on March 6, 2013: “For the naysayers who dispute that the CIA was responsible for the cancer death of Hugo Chavez, note the device in the following video. It is a dart gun developed in the 1970s (or possibly earlier) by the CIA. In the video, the weapon is described as inducing heart attacks. Cancer is not mentioned. However, we know that the CIA used Dr. Alton Oschner, the former president of the American Cancer Society, to run covert cancer research for the agency.” If they could invent devices like this back in the 1970s, just imagine how much more they could do now in the 2010s! In addition, Lubov Lulko wrote in January 05, 2012 that there were different technologies to inflict cancer on opponents, like “alpha radiation, electromagnetic waves, or chemicals” which can “cause emergence and development of cancer,” as part of the larger efforts by some powerful states to “invent new kinds of biological, chemical and electronic weapons” to kill their enemies. Then, case #9 on the list (above) has to do with the assassination of Alexander Litvinenko by the Russian government under Putin, since “upon his arrival to London, he [Litvinenko] continued to support the Russian oligarch in exile, Boris Berezovsky, in his media campaign against the Russian government” under Putin, and “the main suspect in the case, a former officer of the Russian Federal Protective Service (FSO), Andrei Lugovoy, remains in Russia,” and “subsequent investigations by British authorities into the circumstances of Litvinenko’s death led to serious diplomatic difficulties between the British and Russian governments,” as reported in an article on Wikipedia. And cases #10-11 on the list (above) has to do with the Israeli involvement, for the critics, in the assassination of Yassar Arafat, former chair of the PLO, with brain hemorrhage in 2004, and of Khaled Meshaal, the leader of the Hamas, with the poisonous shutdown of the brain in 1996. Hi-tech assassinations can be both successful and unsuccessful, of course. On the one hand, the practice of hi-tech assassination has its own successes. For instance, in the above 11 illustrative cases, 4 attempts were successful, namely, the cases involving Hugo Chavez, Nestor Kirchner, Alexander Litvinenko, and Yassar Arafat. On the other hand, there are failures, in 2 major ways, as explained below. Firstly, some attempts (like the 9 cases as mentioned earlier) have not been successful, for the time being at least — and the most notorious one concerns case #11, when Israel unsuccessfully attempted to silently kill Khaled Meshaal (with poison), but “one of Meshaal’s bodyguards, Muhammad Abu Saif, had chased the two Mossad agents who had carried out the operation and, with the help of a passing Palestinian Liberation Army officer, later captured them,” and “the failed assassination proved to be one of the greatest fiascos in the history of special operations, and a pivotal moment in the rise of Hamas,” and it had also humiliated Binyamin Netanyahu, the Israeli prime minister at the time (1996-1999) and also now (since 2009), since he was forced not only to provide “the antidote and the nature of the [toxins] used against Meshaal,” but also “to release the founder of Hamas [Sheikh Ahmed Yassin] from jail in a prisoner exchange deal,” as reported by Al Jazeera World on January 30, 2013. And secondly, even the killings of the opponents do not necessarily bring the results as intended. For instance, the death of Nestor Kirchner has not made Argentina more pro-American; on the contrary, it only brought his widow Cristina Kirchner into power, who has sided with Chavez instead. The death of Yassar Arafat has not brought peace to the Middle East, nor has it made Israel safer from the Hamas, as the two sides recently had another military clash in December of 2012. The death of Alexander Litvinenko has not silenced the opposition against the presidency of Vladimir Putin; on the contrary, the opposition has grown even stronger nowadays, from 29% of the vote in the presidential election in 2004 to 37% of the vote in 2012. And the death of Hugo Chavez has made him a martyr in the eyes of his supporters, both at home and abroad, for his dual achievements (and visions) to give the poor (long treated with contempt and abused by the aristocrats in the region) a voice in the public sphere and to stand up against “yankee imperialism” for South American independence as a larger integrated bloc. At home, “Chávez’s social campaigns, especially in the areas of public health, housing and education, succeeded in improving the standard of living of tens of millions of Venezuelans,” as Mr. Lula wasted no time to point out. Abroad, “Mr. Chávez was instrumental in the 2008 treaty that established the Union of South American Nations, a 12-member intergovernmental organization that might someday move the continent toward the model of the European Union. In 2010, the Community of Latin American and Caribbean States leapt from theory to practice, providing a political forum alongside the Organization of American States. (It does not include the United States and Canada, as the O.A.S. does.) The Bank of the South, a new lending institution, independent of the World Bank and the Inter-American Development Bank, also would not have been possible without Mr. Chávez’s leadership. Finally, he was vitally interested in fostering closer Latin American ties with Africa and the Arab world,” as Mr. Lula thus praised him. But this does not mean that Mr. Chavez has no faults of his own making. On the contrary, as Lula thus criticized him: “One need not agree with everything Mr. Chavez said or did….There is no denying that he was a controversial, often polarizing, figure….” And, for his enemies, especially those in the corporate world of big-business capitalism, Mr. Chavez can be regarded as a curse from hell. Already, “within hours of Hugo Chavez’s death, makeshift altars were going up in homes and on street corners around Venezuela with candles, photos and offerings for the late president. Weeping beside his coffin, supporters are likening him to independence hero Simon Bolivar and even Jesus Christ. Ministers quote his words and precepts in reverential tones,” as reported by Andrew Cawthorne on March 8, 2013. And Chavez’s body will be “embalmed” and be “permanently displayed” inside “a glass tomb” at a military museum in Caracas, as reported by the Associated Press on March 07, 2013. This then is the best thing that his enemies have done to him: his painful and untimely death makes him a martyr for his followers both at home and abroad, in the present and in the future. source: http://www.veteranstoday.com-check out their article-situation list.